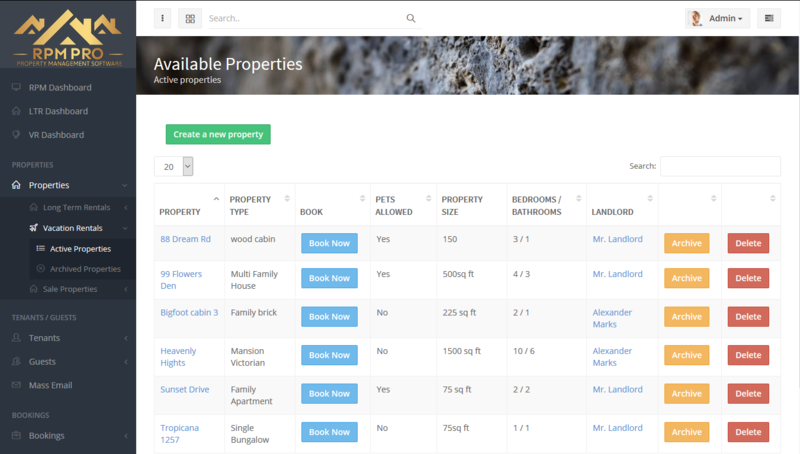 Everything you could ask for in a vacation rental property management software and so much more! NOT ONLY is the RPM Pro software fully mobile friendly across all devices without the need for any additional apps, it assists you in your day to day work life. 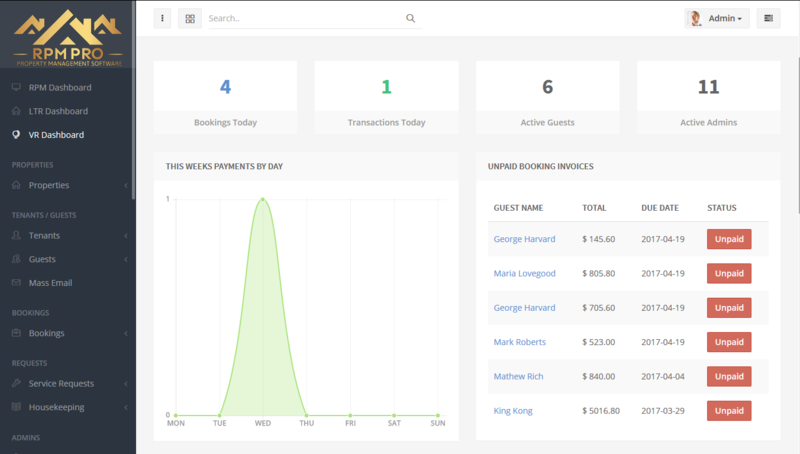 Displaying unpaid, partially and fully paid invoices, create manual bookings, review, send and assign service and housekeeping requests and allow auto confirmed bookings through your website as well as archiving properties. You can manage every aspect of your vacation rentals, update information, upload pictures, allow coupons, upload property files and SO MUCH MORE! You can navigate onto your tailor made dashboard for vacation rentals in 1 easy click of your mouse or touch on your touchscreen device! Inside the vacation rentals dashboard you will see a full and easy overview of everything that is happening for the vacation rentals side of your business. This includes overview of unpaid booking invoices, current booking, properties and of course amount of guests and landlord accounts. By using VR dashboard you can quickly access your most important information about your vacation rental properties such as bookings and payments. With RPM Pro its easy to add in a property and get it ready for showing to your clients. 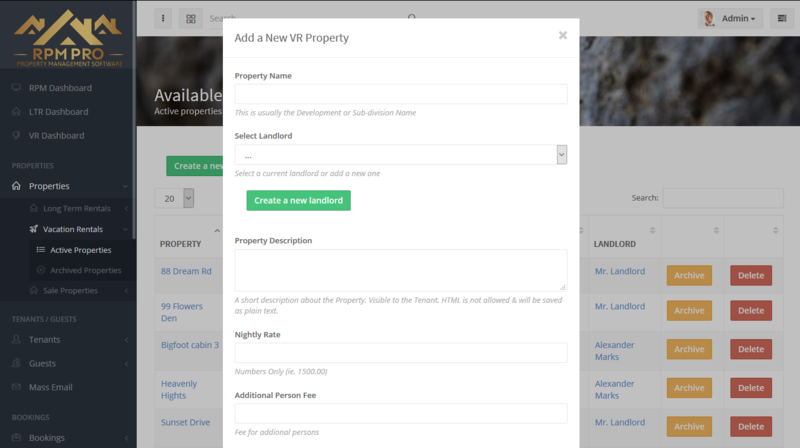 By filling in a few boxes your property is created and from there you can customize as many features as you may require, including HOA details for the landlords peace of mind, upload UNIMITED amount of property photos and files, assing a landlord, add listing text, coupons, notes, amenities and much more! With each vacation rental you have a specific booking calendar, add your booking price range day by day, add room fees, taxes and much more!